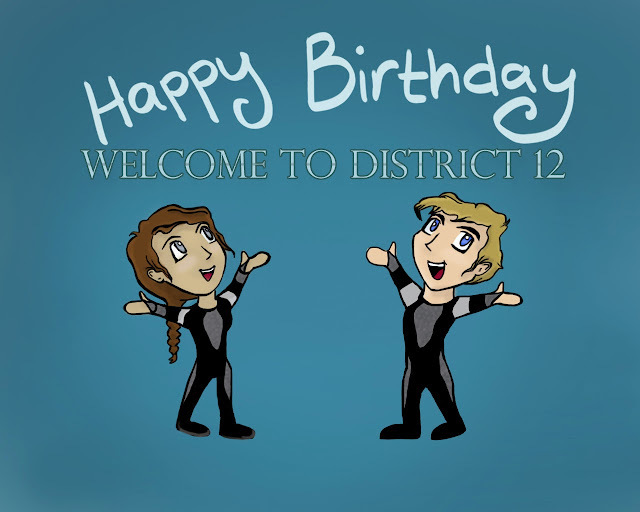 Welcome to District 12: It's Our 3rd BIRTHDAY!!! IT'S BEEN THREE WONDERFUL YEARS! It's time to party y'all!! We were birthed into the interwebs three years ago today, and we're so overwhelmed with gratefulness that we thought.... you guys deserve some stuff too! We know a lot of you entered our L.A. Premiere giveaway and came away empty handed, not to mention followed our social networks to get you more entries. We are so appreciative of you guys that we are going to grant you even MORE chances for entries for OUR BIRTHDAY GIVEAWAY!! WOOOOOOO!!!! 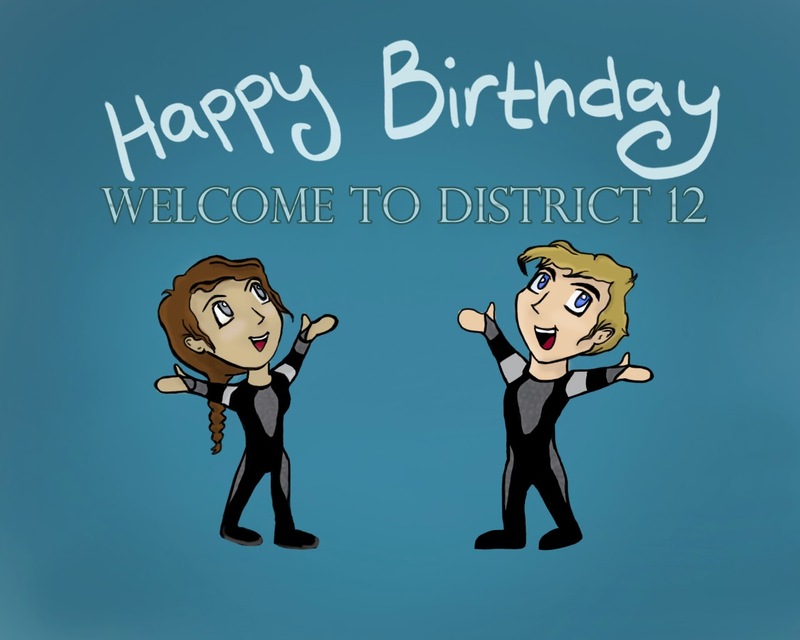 You can get entries by continuing to follow us, entries by doing absolutely nothing (except giving us your email), and TONS of entries by sending us your Hunger Games creations. We'll even post the best entries on our socials and credit you! It's like...... THE OPPOSITE OF TESSERAE!!! We'll be announcing our prize packs later on in the day, but rest assured they are ABNOSOME (that's abnormally awesome, guys). Can you say Catching Fire Merch?! SIGNED POSTERS?! A COMIC - CON MOCKINGJAY PIN?!? !